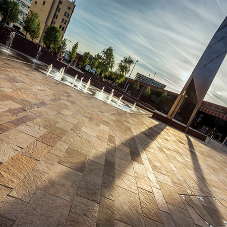 Charcon, the commercial hard landscaping division of Aggregate Industries, has successfully completed the public realm for Transport for Greater Manchester’s £6 million new transport interchange in Wythenshawe. 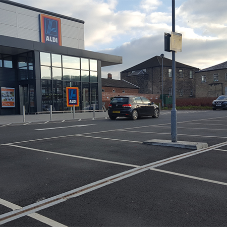 The project, which included the footpaths, ramps and circulatory routes, plus the area of public realm connecting the existing Metrolink station to the new transport hub, was delivered over three months. 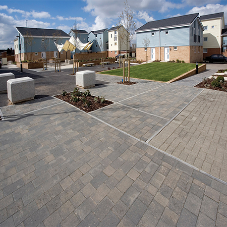 1,371m2 of Andover Washed premium block paving was specified, chosen for its flexible design capabilities and sustainable qualities. 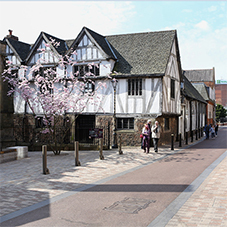 In addition to the existing Anthracite Charcoal and Silver Grey colour options, Charcon’s design team worked in partnership with Transport for Greater Manchester (TfGM) to create two new colour shades specifically for the project. TfGM was keen to ensure the new interchange was as sustainable as possible so the use of Andover Washed helped meet these requirements, containing up to 50 per cent non-primary materials.